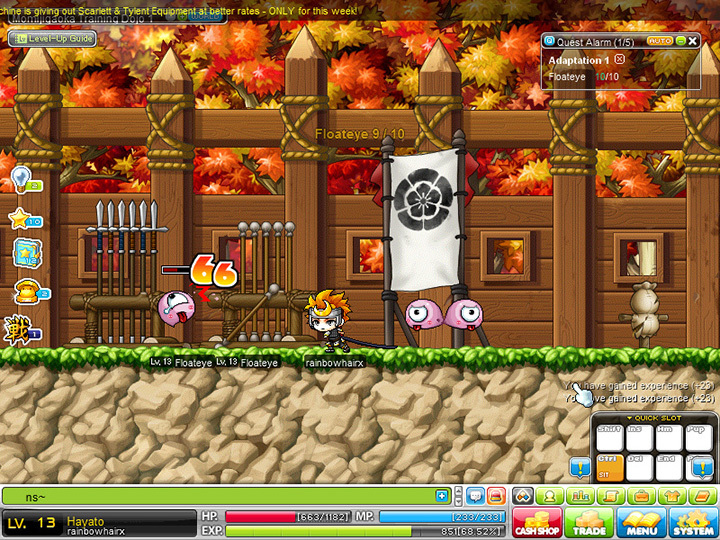 I remember when I was back in my poly days, I was really crazy about this particular game. I stayed up all day and night just to play it with my friends (my bff, Angie plays with me) cause it is so fun and addictive! And this game which I'm talking about is still going super strong and popular up till now, with more than 100 million players playing omggg! 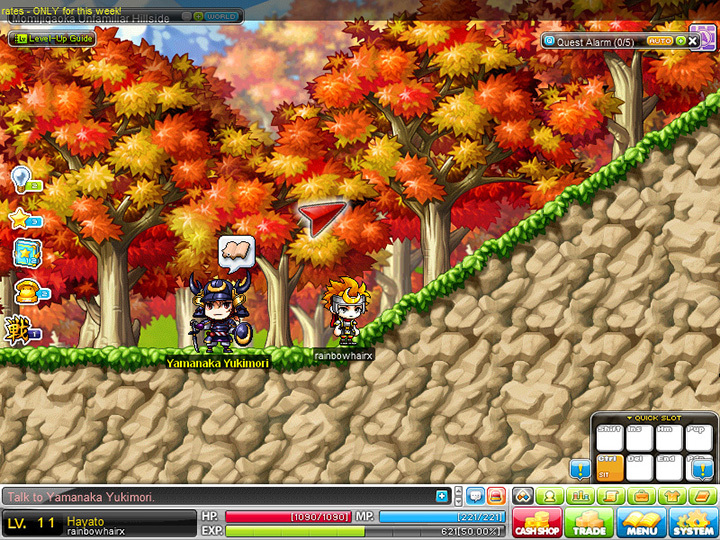 And it's none other than, MapleStory!!! I'm sure a lot of you guys sure play it before or still playing it now!!! 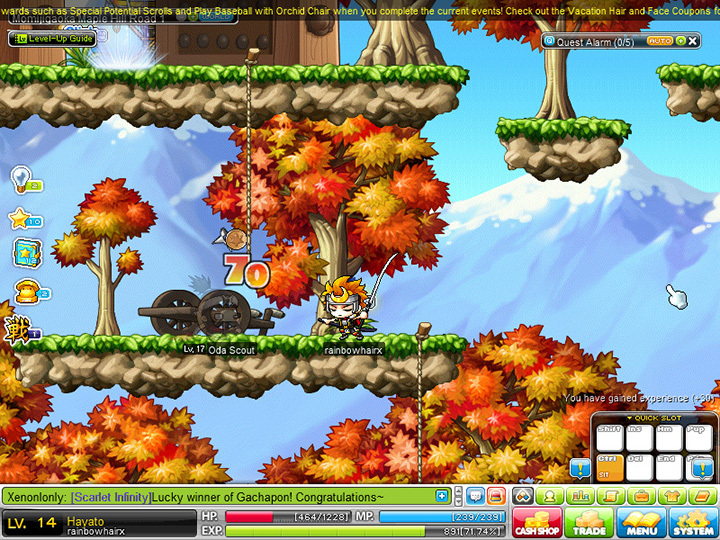 I still remember I was using a mage (magician) character somemore when I initially started playing!! Hahaha!! Talking about it brings back so much memories!!! 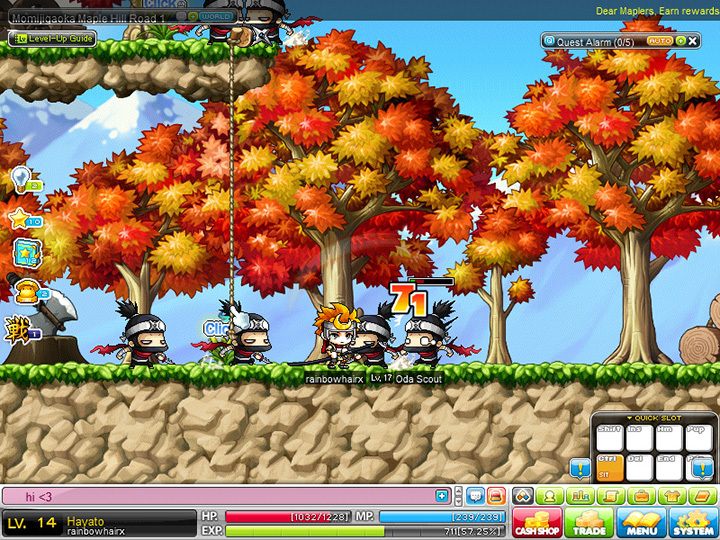 And whenever I see my cousin playing MapleStory now, I can't help but to ask them questions (like; what quest you're doing now? etc.)! Hahaha act a pro because I play before okay! They also introduced 2 new classes for The Sengoku Era! "The story of Sengoku dates back to Japan many centuries ago. It was a time of peace. However, Abeno Seimei, the Great Diviner of that peaceful period had a premonition that an evil force would appear and take over Japan. ,The prediction came true and Sengoku was seized into hegemony by a man called Oda Nobunaga who claimed to be the 6th Demon King. Abeno Seimei also predicted that five highly skilled warriors would rise and oppose the evil force, and from then on, they were known as "Children of Five Stars." Hayato and Kanna were the first two who rose to stop Nobunaga from carrying out his evil plan of demonising Sengoku." Sounds so exciting right!!! I can't wait to play the new class already!!!! 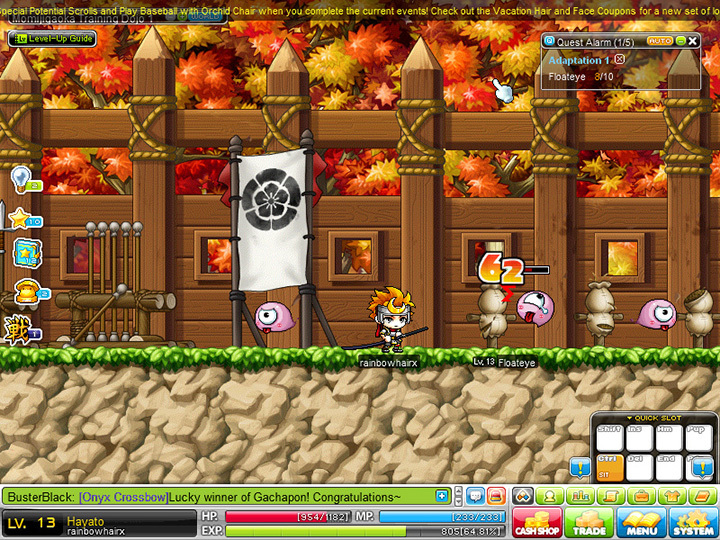 So I grabbed my laptop and while playing, I took some screenshots to show you guys!!! Choosing the class page! I'm gonna choose Hayato! 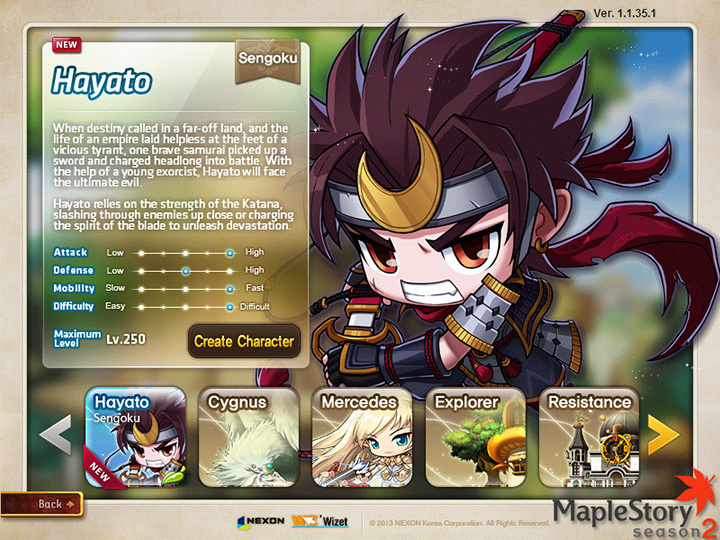 Hayato is a samurai warrior that wields a Katana as his primary weapon and a Wakizashi as a secondary weapon! His fighting style is called Battoujutsu that deals specifically with the rapid drawing and sheathing of a sword. - Sound so cool right! And somemore is new class, I totally should try playing with it! Not only they have Hayato, they also have Kanna that just debuted on 4th December 2013! 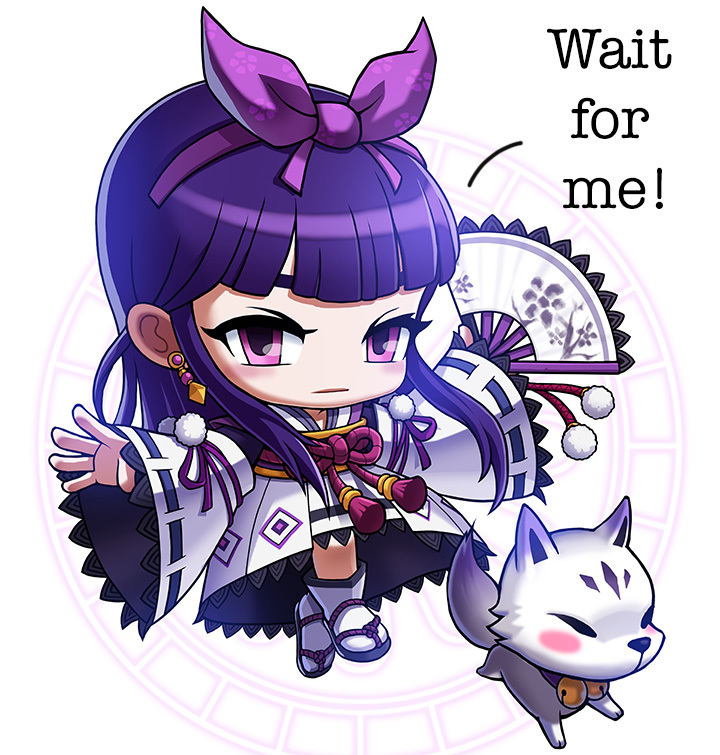 Kanna is a magician who uses a fan as her weapon of choice and has a white fox called Haku, as her trusty companion on her battles. She uses a combination of fan attacks and ghost with Haku assisting her during battles, as the fox has the ability to transform into human form during combat! Okay, once I'm done with choosing Hayato as my class... 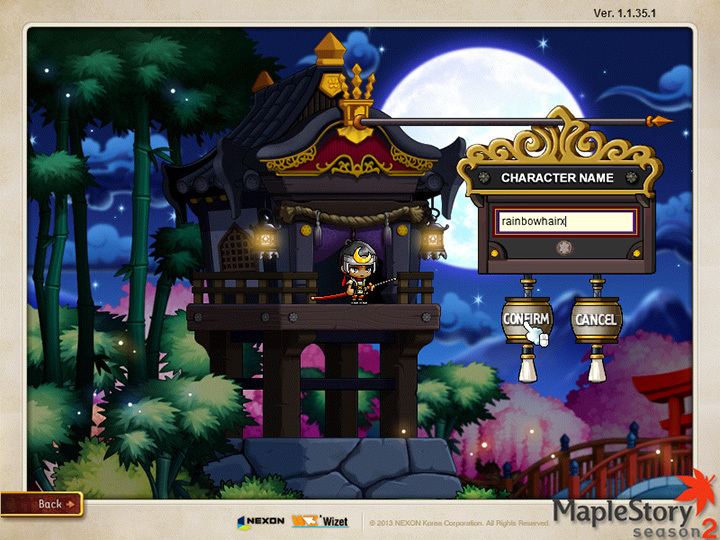 I need to choose my character name! 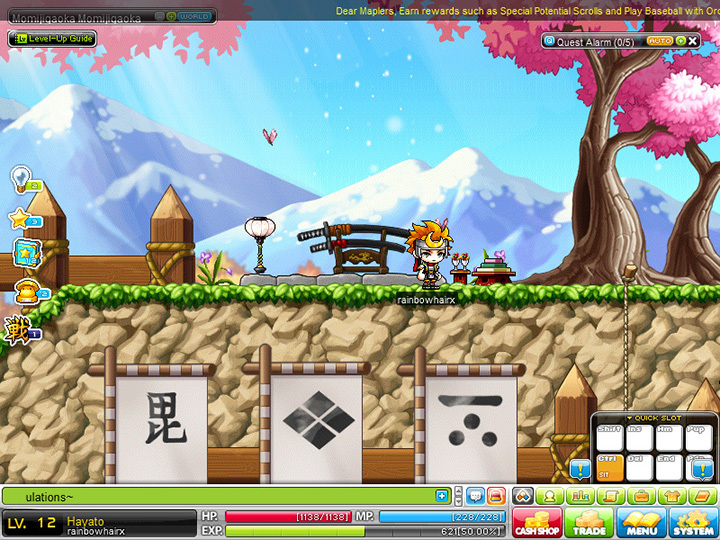 And I didn't really know what to put for my character name so it ended up with, rainbowhairx! HAHAHA! Then it's done and time to start playing! My first quest! Omg so pretty! Cherry blossom trees! You know while playing The Sengoku Era, it makes me wanna go Japan so badly cause I've never been there before and I love the food, people, fashion and.... the food there!!! I love Japanese food omg!!! I can't wait to eat all the sashimi and sushi!!! YUM! :D Plus the fashion also!!! Okay, I know I mention it earlier already hahahaha! I think the closest thing that I have now to Japan is the tokyo banana that my friend gotten me from Japan -_- lolololol! Don't judge! But it's really yummy eh! Hahaha! Me killing the monsters at the very early stage! It's quite awesome because now we can explore Hayato and Kanna's hometown with the addition of new towns within Mushroom Shrine and join forces with them to thwart Nobunaga's nefarious plans! At another area killing the "monsters"! Hahaha! Really brings back loads of memories when playing it and guess what!!! End up I play it for hours on my bed unknowingly omgggg! Yay dead! Hahahaha! 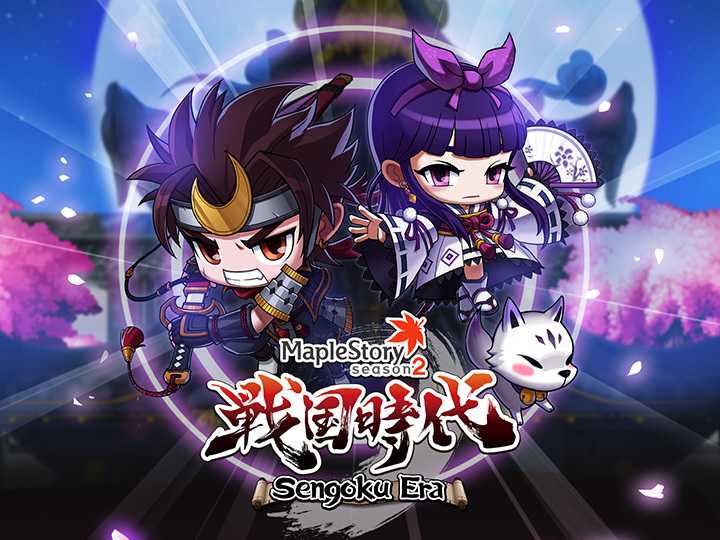 Anyway, to celebrate the launch of Sengoku, there will be a plethora of events that will reward players for their participation and perhaps earn some limited in-game items as well! After I show you my last screenshot okay! HAHAHA! Anyway, I can't wait to get to higher level, will be much more fun! Yes!!!! 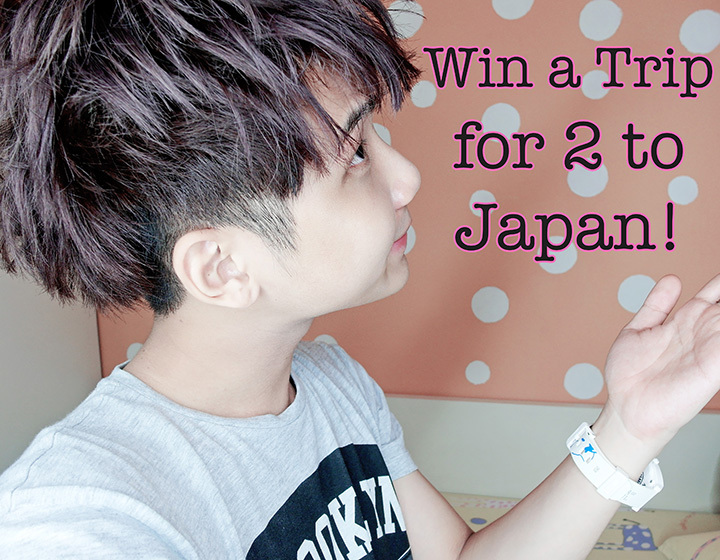 You now can win a trip for 2 to Japan!!!!! 1. 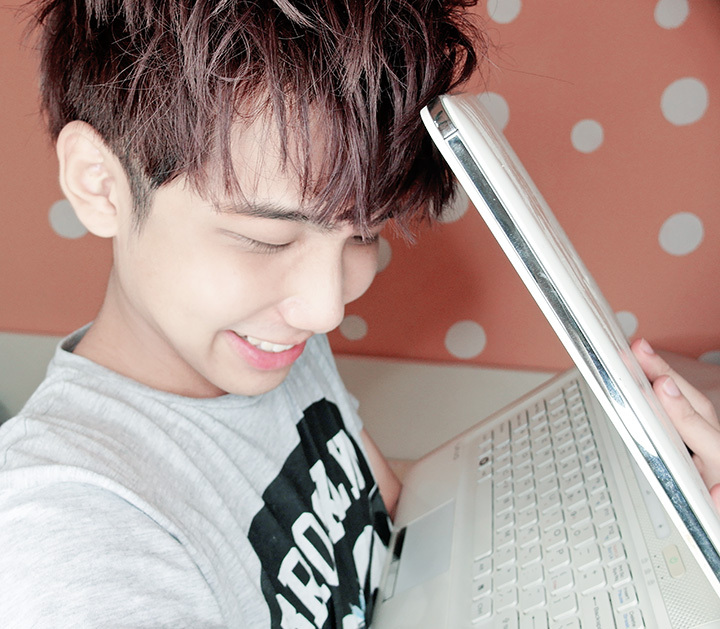 Asiasoft will take a screen-shot of the blogpost which will be put up for a voting contest. Omggg! 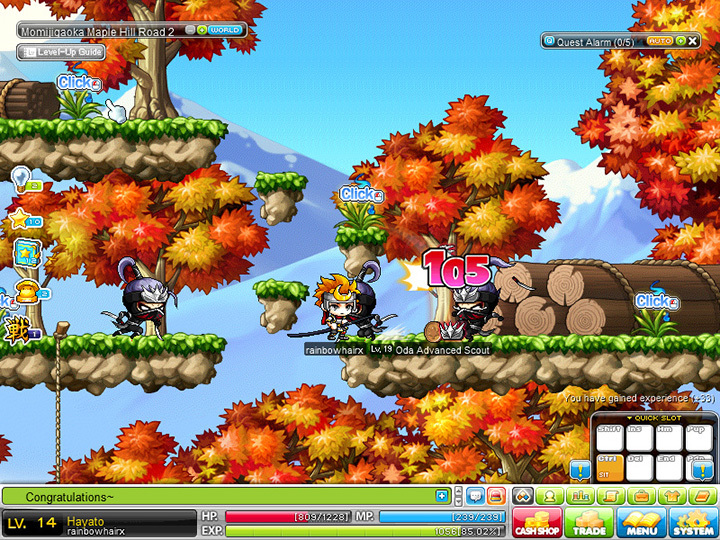 So what are you waiting for, when you can win a trip for 2 to Japan and also play MapleStory at the same time!!!! 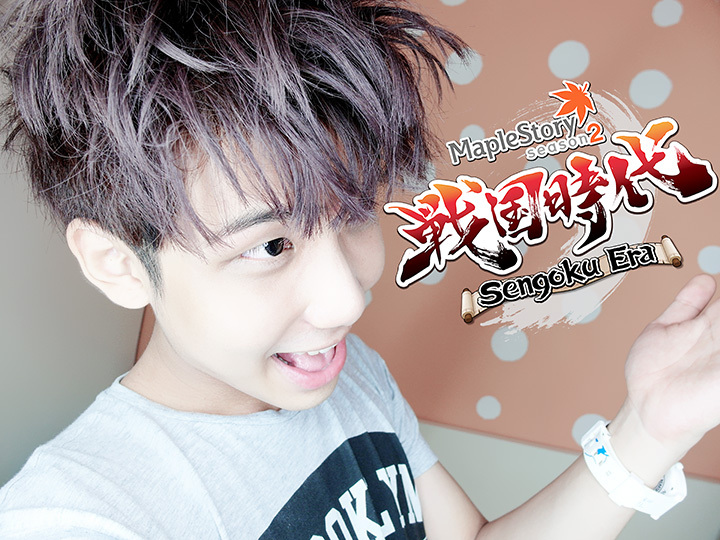 Go download and start playing MapleStory - The Sengoku Era now!! !